Based in South Korea at the central Seoul shop Cafe C, this South Korean has garnered near rockstar status due to his latte art creations. 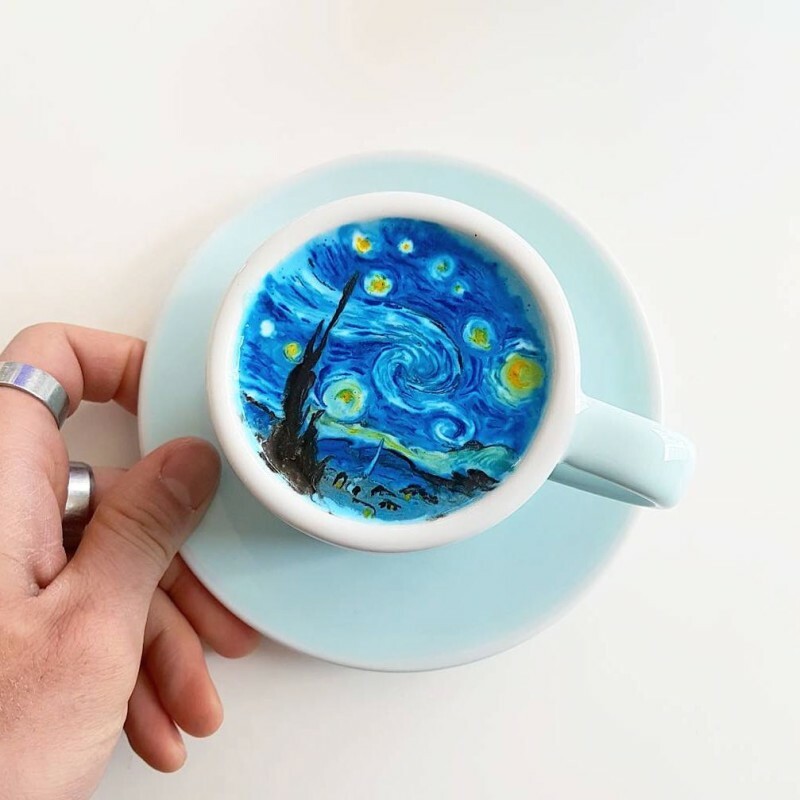 Quoted from Vogue, he recreated famed works like Vincent van Gogh’s The Starry Night on coffee. This isn’t just a white and tan approximation of the masterpiece, it’s a Technicolor rendering done by “painting” using thick cream mixed with food coloring. He calls his cups—which take up to 15 minutes to create—“CreamArt” and sells them for approximately USD8 to his loyal customers.